Buying a new or used car is one of the biggest and most important investments for everyone. It is because buyers want to make their car buying experience as positive, efficient and effective as possible. In some instances, the car buying experience can leave buyers bewildered and baffled due to few complexities in used car buying. If you want to get a positive result, you need to avoid some car-buying mistakes. This post shares you few simple tips to avoid your mistakes and even associated remorse. There are many places available to buy the used cars, so you can carefully choose the visit the right used car dealer. It is always helpful to check the reliability, service quality and customer support before hiring any used car dealer. These are useful aspects that ensure you are buying an efficient used car from the trusted dealer. You can ensure that you take the test drivers with and without your sales associate. The first test drive brings you answers to your various questions related to your car. The next drive will bring you an excellent opportunity to evaluate the used car independently. It helps you to know whether the used car perfectly suits your needs. It is always smart to visit a car mechanic who helps you to make a proper buying decision. In simple words, the test drive brings you a chance to compare different aspects of buying. Car inspection plays one of the most significant roles in buying a used car. If you want to get the complete benefits of car inspection, you should hire the trained and knowledgeable mechanics. They are the experts who inspect the used cars thoroughly. The good thing about the experienced team is that it has better expertise, specialized tools, and professional experience. It let them handle all kinds of vehicles and provide quality car inspection at affordable rates. The highlighting feature of car inspection service is that it offers you a precise car inspection report. 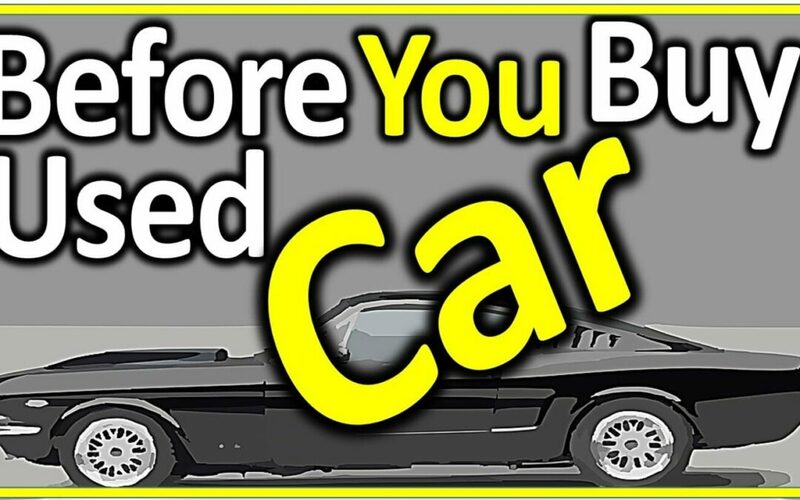 It helps you to know the condition of a used car. During the inspection process, you can easily check the functionality and overall conditions of the car components. The detailed and precise report of a used car helps you to make a smart buying decision quickly and easily. By using the vehicle history check, you can save your precious time and avoid the remorse. It is helpful to check the size of your garage before buying any used car. If you fail to consider this aspect, it will cause various hassles and bring you remorse. To avoid the inconveniences, you can ensure that the user car will perfectly suit your garage space. When you decide to buy a used car, you can ensure that it will perfectly suit your needs and your family members. It is because few cars have limited space for passengers, so you can check this aspect before spending your money.